"But God who is rich in mercy, because of the great love with which He loved us, even when we were dead in our trespasses, made us alive together with Christ--for by grace you have been saved--and raised us up with Him and seated us with Him in the heavenly places in Christ Jesus, so that in the coming ages He might show the immeasurable riches of His grace in kindness toward us in Christ Jesus. For by grace you have been saved through faith. And this is not your own doing; it is the gift of God"
Welcome to Darlington Congregational Church! Thank you for visiting our website. At Darlington you will find a close-knit and welcoming church family. We know you are important to God and that makes you important to us. We honor the Word of God, and seek to reflect God's glory in the way we live. When you visit us, we hope that you will sense the importance we put on loving God and each other. These are trying times for everyone. Our lives are often filled with worry and fear. In the face of uncertainty, we believe God can enable ordinary people to experience the love, joy, and peace that passes all understanding. By His grace, we seek to live out the rich life God has promised, and to encourage one another in that quest. You may be discouraged or disillusioned. You may even think you can never make contact with God or that there is no hope for someone in your situation. You may not believe an unseen God has the power to change your life. But from the beginning, He has drawn countless people like you to Himself. If you are looking for a loving, Reformation-based, church where the Word of God is faithfully preached and where Christians are challenged to live out their faith, we sincerely welcome you and look forward to getting to know you. We hope these pages will be helpful, and we extend to you a warm invitation to join us on Sunday mornings. I would also enjoy talking with you, so please feel free to call me any time at (401) 725-6324. 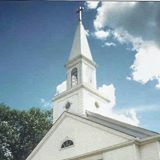 Our email address is darlingtoncongregationalchurch@gmail.com. Coffee Hour: All are invited for beverages and light refreshments immediately following Morning Worship. **During the winter months, when a parking ban is issued by the City of Pawtucket, our services will be cancelled. Cancellation information will also be available on local television broadcasts. Please get in touch to offer comments and join our email list for announcements and special events.